It is said the only thing missing in Seville is the ocean. This beautiful city boasts a wealth of monuments, including the Mezquita, the most beautiful mosque built by the moors and the great Alcazar cathedral. The historic centre of Seville is located on the left bank of the river in a spot previously protected by the Almohade wall, of which some ruins remain today. It contains some of the most famous neighbourhoods of the city such as Santa Cruz, San Bartolomé, San Vicente, San Lorenzo and El Arenal. On the right bank of the river stands the Arrabal suburb. These are the most interesting areas for the traveller to visit. The rest of the city is built around a series of expansion projects, the most important being that carried our for the Latin American Exhibition of 1929, built along the southern stretch of the Guadalquivir River. In 1992, near the Cartuja Monastery, a new area was developed to the west of the city where Expo 92 was held. 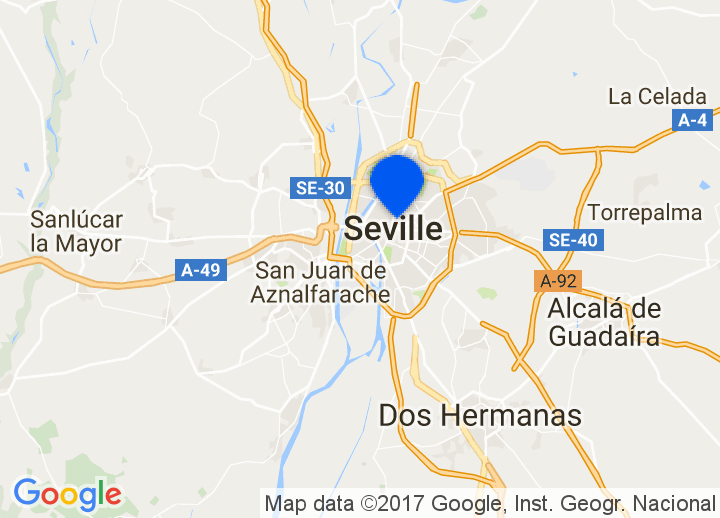 If you are looking for the best Seville hotels, you can choose between traditional Seville hotels, with their typical Andalusian flair, trendy Boutique Hotels Seville as well as cozy bed and breakfast in Seville. Fiestas Seville has some of the most important fiestas in Andalusia. When the orange trees begin to blossom, Seville decks itself out for its famous Semana Santa (Easter Week) and Feria de Abril (April Fair). Semana Santa started in the 14th century and is the city's most famous celebration. It spans the 7 days of Easter, with the staging of daily processions. The other big celebration, the Feria de Abril, was created in the mid-19th century as an agricultural and cattle fair. During the celebration, the city's men flock to the event dressed in short jackets, boots and chaps, and the women wear colourful dresses with ruffles. The Romería (pilgrimage) del Rocío is also worthy of note. The pilgrims come from all to the sanctuary of the Virgen del Rocío in the village of Almonte, Huelva, to see the procession. The procession is solemn, but the uniforms and dress of the different Brotherhoods are colourful. Many of the streets along the path are covered with white awnings.